Assam Urban Infrastructure Investment Program (AUIIP). 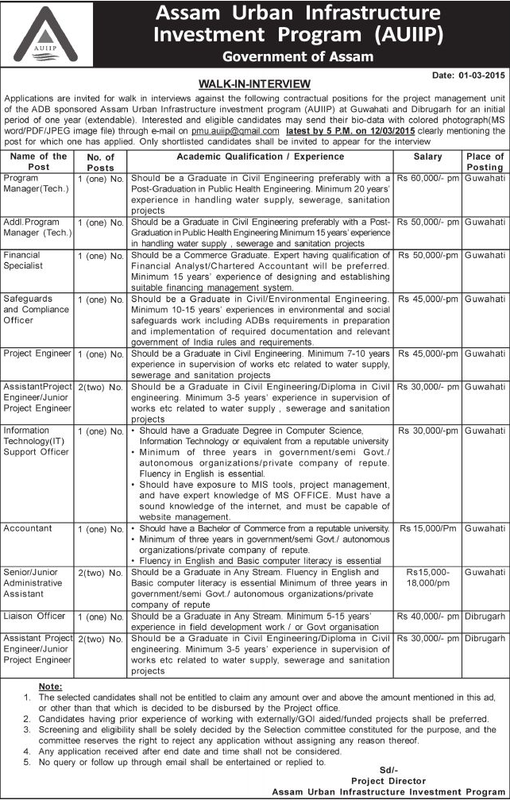 Applications are invited from eligible candidates for filling up of following vacant posts in project management unit of the ADB sponsored Assam Urban Infrastructure Investment Program (AUIIP), Government of Assam. How to apply: Pl check the following image.